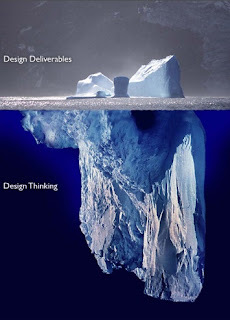 I find this image on our corporate wiki design page a very powerful representation of what goes in creating a course. Somehow in all the rush for meeting unquestioned timelines and perhaps in most cases just being plain lazy, we don’t really spend the time on designing our products. I was recently part of a project to create induction training for one of the large IT companies. It was an interesting experience to see the team struggling in the initial stages to come up with ideas. But once they got going, they had many new ideas. The first few design presentations by the team were tough on them but they soon got going. I am hoping that one of them will soon contribute to this blog and share their experience (hint, hint guys ;-)…). It's a pretty good analogy!